Badami Fort in Karnataka is an ancient structure that stands atop a hill. The impressive fort offers a glimpse of the rich Chalukyan architectural style. Badami is a famous adventure destination in the state of Karnataka, owing to the presence of red sand stone cliffs that surround the Agastya Tirtha water reservoir. These sandstone cliffs have horizontal cracks, which make Badami a favored destination of rock climbers. Godachi is a small village famous for the Godach Fair or Jatre held during the months of November-December every year. 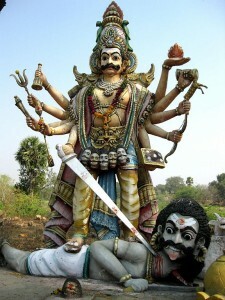 The Godachi Jatre is held in honor of Shri Veerabhadra, the prime deity in the main temple here – the Veerabhadra temple. Rock climbing is known to build confidence. 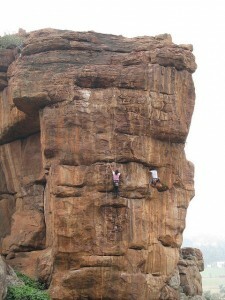 Today in various parts of Karnataka & near to Bangalore professional rock climbing is available.